Apple’s role in the GT Advanced bankruptcy saga appears to be over. In October, GTAT reached an agreement to repay [company]Apple[/company] $439 million in rent and loans. That settlement was questioned by other [company]GTAT[/company] investors, though, and on Monday, GTAT submitted a revised settlement with Apple worth $50 million more (to GTAT) than the previously agreed-to settlement. The new deal led GTAT’s creditors to withdraw their objections. The judge, Henry Boroff, is likely to approve the final settlement early in the new year, according to Reuters. Under the latest settlement, GTAT will sell off around 2,000 sapphire furnaces — for about $500,000 each — and Apple will get a substantial cut of the proceeds from those sales. GTAT will also get a few months of rent forgiven at the Apple-owned Mesa, Arizona facility. GTAT isn’t done with courts: The SEC is currently conducting an inquiry into suspicious trades by GTAT executives as the company floundered. But for Apple watchers, this chapter of the sapphire saga is over. It’s a good time to recap Apple’s short dalliance with GTAT, which lasted only a little less than a year. Most Apple deals with suppliers don’t come with press releases, but the agreement with GTAT to provide sapphire crystal was announced by Arizona governor Jan Brewer because it was bringing “700-plus quality jobs” to Arizona. Apple’s deal with GTAT was unusually structured: Essentially, Apple loaned GTAT hundreds of millions of dollars and built the Mesa, Arizona plant, and in exchange GTAT promised not to sell sapphire crystal to anyone other than Apple. 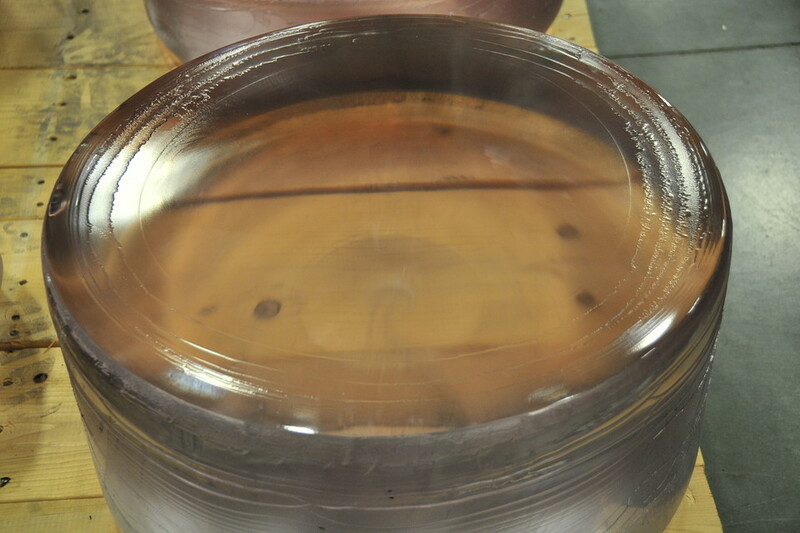 GTAT was exploring new industrial processes intended to create the largest boules of sapphire ever fabricated in production, but it didn’t work. The Wall Street Journal has photos of what GTAT employees called the “boule graveyard” — batches of sapphire that were cracked, or not clear, or generally defective. Nearly half the boules produced by GTAT were unusable, and Apple frequently rejected shipments. The sapphire crystal material from GTAT was supposed to travel overseas to Asia, where it would be shaped into scratch-resistant screens for iPhones. Instead, the iPhone 6 uses Corning’s Gorilla Glass product. In October, when it was clear that GTAT sapphire was not going to be used on the iPhone 6, GTAT declared bankruptcy, and in its initial filing, pointed the finger directly at Apple, accusing it of turning GTAT into a “captive supplier.” Making things worse for Apple, the judge in the case decided that its contracts with GTAT could not be kept under seal. When those documents hit the public record, they included a complete Apple supplier agreement, an Apple security and confidentiality outline, and a colorful report of an lawyer saying that Apple generally doesn’t negotiate terms with its suppliers. Apple was only able to keep a few pages under seal, including tables describing the quantity and amount of sapphire purchases — from which you could approximate Apple’s iPhone shipment estimates. But GTAT’s other creditors weren’t completely happy with the fact that there were aspects of the settlement that they weren’t privy to, and they suspected that Apple was getting off easy. They continued to push to see more Apple documents and wanted to depose Apple executive Jeff Williams — all while Judge Boroff continued to state he needed convincing reasons to keep documents under seal. Are the terms in the Apple-GTAT contracts standard for other suppliers? It’s hard to tell — most of Apple’s suppliers are in Asia and these kinds of contracts are closely guarded. In many ways, the GTAT saga reveals the risk in working with American suppliers. When things go wrong, it’s much harder to keep the details under wraps. Apple may be continuing to invest in American production, however; last week it was rumored that Samsung is fabricating new Apple chips in Austin, Texas. So it looks as if Apple decided that spending roughly $50 million more on the existing settlement was the easiest way to make the GTAT problem go away and prevent risking any more company secrets leaking into public record. It was probably a bargain. Creditor’s discovery on internal Apple emails make it clear that the target date for Apple & GTAT was Fall 2015 – not the iPhone 6. One more time rumors and P&D manipulation from Wall Street has ripped off honest investors. Very interesting. Where’d you see that? Who will buy those furnaces at a big discount? Apple. Who will GTAT pay the proceeds of the sale? Apple. For Apple, the worst that can happen is GTAT folds and Apple gets the furnaces at market price. If GTAT manages to make good on the loan from Apple, then Apple gets an enormous discount on the furnaces at GTAT’s expense. Apple keeps the big tax breaks while “700-plus quality jobs” are gone. That stinks. The new corporate raiders don’t even bother buying a company before raiding it. It’s just “Put on your big boy pants and sign this hostile contract, now!” GTAT should have known better than to deal with Apple after Apple sued another supplier (Samsung) to the tune of one billion dollars. But is it really $50M less or $50M a few years later? Pls confirm one or the other.